Following yesterday's news that comedian Steve Rannazzisi repeatedly lied about surviving the 9/11 attacks, Buffalo Wild Wings and Comedy Central said they were reconsidering deals with the actor. 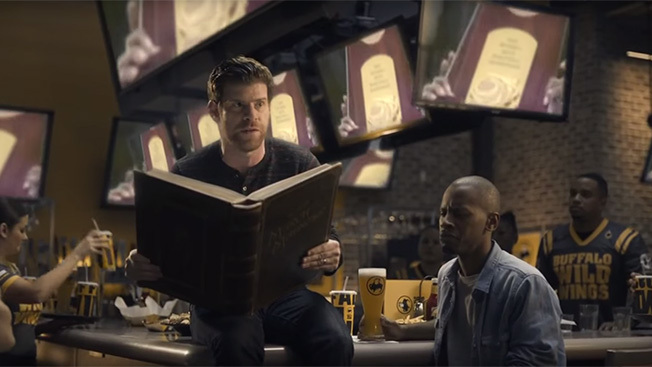 Now, Buffalo Wild Wings has announced it will stop airing commercials featuring Rannazzisi, who became the brand's pitchman earlier this year. "Upon careful review, we have decided to discontinue airing our current television commercials featuring Steve Rannazzisi," said a spokesman for Buffalo Wild Wings in a statement. The spots by TBWA\Chiat\Day in Los Angeles, which took over creative work for Buffalo Wild Wings last September, have been taken off the brand's YouTube page. The work leaned heavily on the brand's connection to football, and using Rannazzisi made sense because he's best known for his role as Kevin on FX's The League. It's unclear how the brand will replace the current campaign, but it's likely Buffalo Wild Wings will tap TBWA\Chiat\Day L.A. for a new campaign or use something already in its inventory. The spokesman did not immediately respond to requests for further comment.